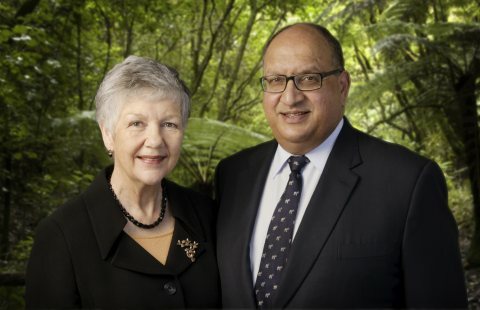 We are honoured to announce a new dimension to our organisation, with former Governor General Sir Anand Satyanand and Lady Susan Satyanand becoming joint patrons of NZYMN. The Satyanands are based in Wellington and bring extensive national networks, as well as particularly high levels of knowledge and commitment to key operational areas for the Youth Mentoring sector in 'diversity, education, youth and engagement'. They are looking forward very much to starting their work with us, by participating in the conference, meeting attendees and finding out how they can support and assist the youth mentoring sector going forward. We have a great line up of over 20 speakers covering the spectrum of youth mentoring in New Zealand. Download the Conference Brochure to find out more about the comprehesive 2 day programme that has been put together. Ronji is a member of our panel discussion looking at Youth Mentoring in Maori and Pasifka communities. His topic is: "The Priest, the Levite, the donkey, the businessman and the Samaritan... - lessons & challenges for mentoring today's Brown kids using ideas & principles that aren't really liked by modern, secular society." Terryann will present the latest trends and findings from the Youth '12 Survey - the third national youth health and wellbing survey' which has recently been published. Ant Backhouse, National Coordinator of "I have a Dream" Charitable Trust NZ. Ant will outline 5 evidence based arguments you SHOULD have to advocate for young people. Be challenged to re-think the elements of mentoring support and intervention required to raise achievement outcomes with your students. Special group registration offer for 3 or more people! Please do not hesitate to contact us if you would like to discuss your organisation’s particular needs. We appreciate the conference represents a significant investment and are keen to work with you to ensure that your people are able to attend.